We wish you all a Happy New Year and hope 2017 will bring new lasting memories and good health. We wanted to let everyone know, shipping has been completed, with the exception of a number of Canada deliveries that have been taking longer than we ever anticipated. We want to take this time to explain the difficulties we have been encountering for these shipments. To start off, we understand these delays are frustrating and apologize to our Canada backers that haven't received their StylusFlex. Our main focus has been getting to the bottom of the delay and we wanted to gather as much accurate information from all parties responsible for these Canada shipments before passing it on. 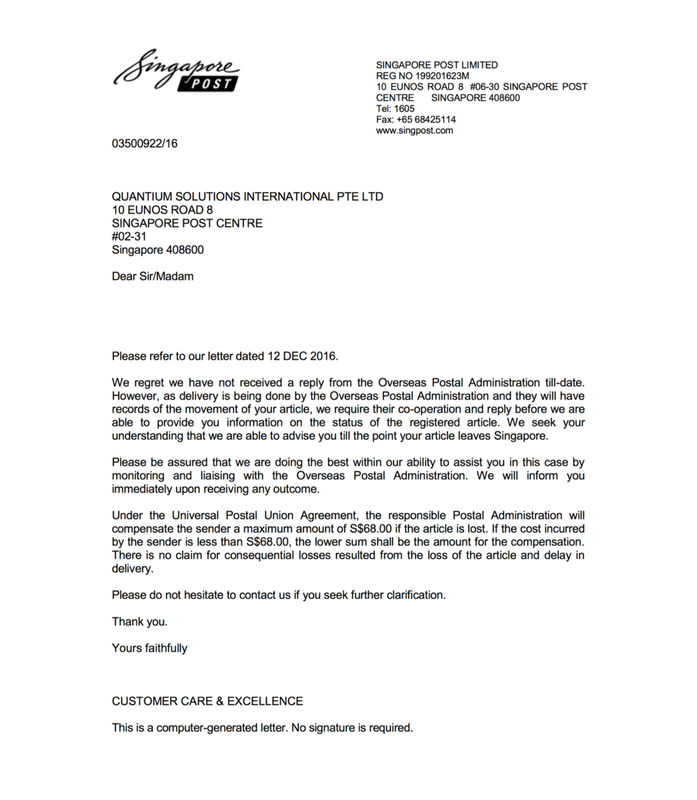 In mid-November a number of Canada shipments left our international fulfillment company in Hong Kong to a courier named Singapore Post | Quantium Solutions. After these shipments arrived at the SingPost processing center in Hong Kong, they boarded a plane to Singapore, went through the clearance process in Singapore Customs, and then boarded another plane headed to Canada in December. We were not only concerned, but confused, that it took such a long time for the shipments to be dispatched from Singapore and onto Canada. So during this time we raised a formal investigation with SingPost to understand the delay. Frustratingly enough, we were relayed that the investigation could take up to two months. And because the shipments originated with Singapore Post, the investigation had to be initiated by SingPost. 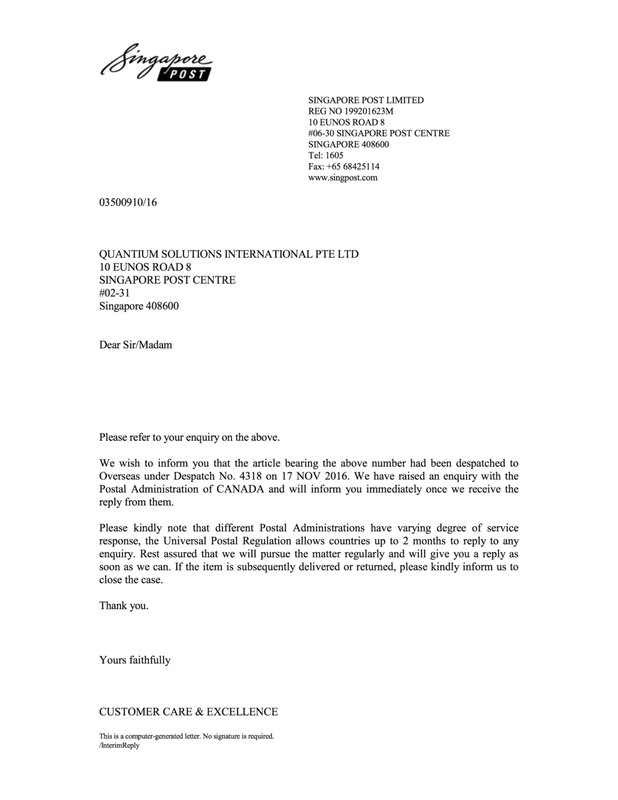 Singapore Post then contacted Canada Post and we regularly pursued the investigation. As it's frustrating for you, it's immensely frustrating for us. We've produced the StylusFlex and paid for shipping months ago and to hear that what's holding us back is grossly delayed shipments is a hard thing to swallow. Just as bad is the fact that upon calling these shipping corporations, no one can give you any concrete information on what to do, where they are, and how we can proceed until constant nagging and speaking to 5 different representatives every day hoping to get something direct we can bring to you. Delivery for international inbound items to Canada takes 2-3 weeks on average, not including customs. And all international shipments are required to go through the Canada Border Services Agency (Customs) in Vancouver. The most recent conversation with Canada Post revealed that customs has been severely backed up. Since the holidays, the period for shipments to clear customs has been 40 days. Once customs gives clearance to a shipment, it is taken to the Canada Post facility and sent to the destination. Delivery time for the average parcel is 2 days local, up to 5 days if it's in the same province, and up to 9 days nationwide (anywhere in Canada). These shipments cannot be tracked on your tracking page because Canada is a non-EDI country. We are working full time to resolve the situation and have been in daily contact with our fulfillment company, Singapore Post, and Canada Post. We've raised an inquiry for each individual shipment that went out to Canada. The instant we hear any productive news we will let you know.